Just above the horizon – WIRES-X! 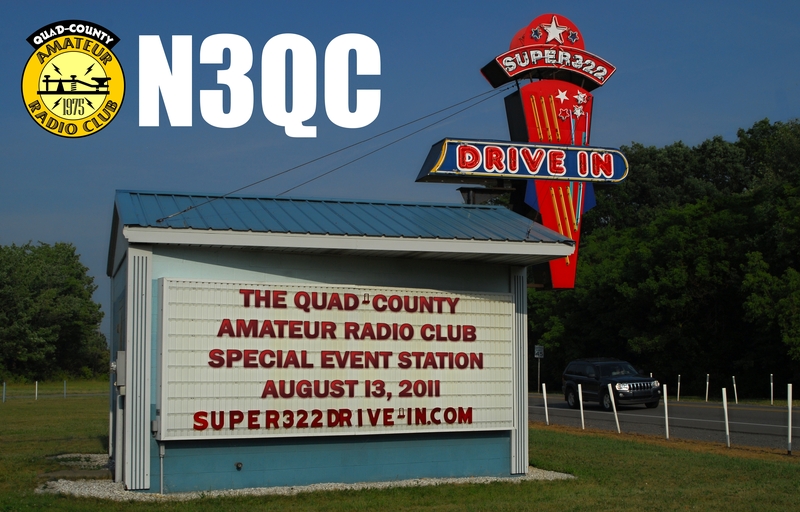 Recently you may have heard some rather odd noises and unlikely QSOs taking place on the N3QC, 147.315 repeater. The latest update to our repeater was added January 12, 2016 when the Yaesu Wires-X Voice Over Internet Protocol (VOIP) was added. More information will follow as we decipher some of the information and operational aspects of this new mode. In case you didn’t hear, one of the first QSOs was a 3,565 mile digital contact with a station in England. The English ham was traveling to his home QTH while we were heading down the road in Du Bois, after the brainstorming session of getting the WIRES-X operational. Seeing the information showing a station that was just over 3500 miles away displayed on the radio’s display was quite a surprise! The contacts are not totally automatic, you actually have to initiate a connection with one of the many WIRES-X nodes around the world. The connection can be made with either a Yaesu FTM-400 in digital mode or, as it it setup on the 147.315 repeater, any analog FM two-meter transceiver with a DTMF keypad (otherwise know as a touch-tone pad) connected to the transceiver. The digital connection to WIRES-X on the repeater is not available as it is set for analog only so that all can use it. You need to know the node number of the location that you want to connect, enter that on the DTMF keypad and the connection should be established. The digital mode displays much more information and has much more utility as well but as mentioned the digital radio is not needed, even a hand-held 2 meter rig can activate and use the system. This is just a brief overview of the WIRES-X system, there will be much more to come on this website and at the QCARC regular meetings. Stay tuned for some very interesting experiences with WIRES-X! I expect there are more questions about WIRES-X, since the announcement at the January Club meeting. Even though I was half of the team that set it up, I still have questions. The best place to begin to learn about the operation is to go directly to the Yaesu WIRES-X web site. Toward the left top of the page you will notice several tabs to connect to information that will better describe what WIRES-X is all about. The member log-in is for registered node users, you don’t need to worry about that part. 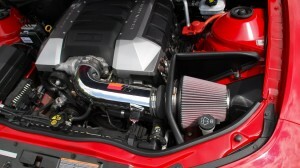 The “What is WIRES-X?” tab gives an overview of the system. The “User page” tab has a very good description, with good pictorials, of the way the system operates. Keep in mind this shows a digital radio operation but it is informative for both digital and analog modes. The “WIRES-X ID list” tab will take you to the page that lists all of the WIRES-X nodes around the world and you’ll be able to see if there are any located near a city that you may want to talk to. You can sort the lists by clicking on the header for each column: call sign, city, state, country. Keep in mind the node list changes everyday as new nodes are registered. The 147.315, N3QC repeater WIRES-X system is operating in the analog mode so that everyone can use it. Stay tuned for more information as it relates to the N3QC/R WIRES-X system. The WIRES-X room node will be connected for the time being. This should enable any one who connects to be able to more easily to use the system. 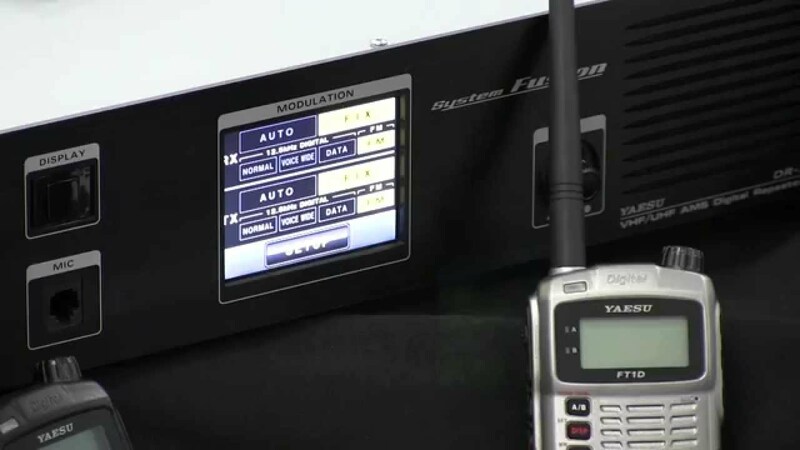 To connect to a node room at a distant location, you will need a DTMF, touch-tone pad, on your microphone or hand-held, then you will need to know the node room number, available on the Yaesu WIRES-X web site . Remember to select the WIRES-X ID list tab to view the node number list. So far the WIRES-X connection has served us well. I think that one of the biggest advantages that I’ve heard is that folks who may have moved from the area may now have the opportunity to get into the local repeater and talk to others they know. 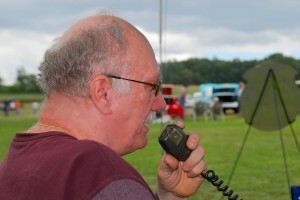 This has been proven out with K3AHS, Ed who is able to get into the 147.315 repeater, from his home in Texas, to check into the Sunday net and at other times to talk to hams who are in the area that he grew up. The local room node is still connected, no issues appear to have resulted in the full time connection. In order to connect to another node you first need to disconnect from the local room by pressing the ” * ” touch-tone pad button. Then listen for the disconnect acknowledgement of an “H” in CW (4 dots, they’re sent fast). Once you hear the “H” enter the node room number of the distant location with a leading ” # “, via the touch-tone pad, to connect then talk to hams from that area. Remember to read up on the information contained in the above links. This is a system where skimming or guessing just will not work, you have to play by the WIRES-X rules! Remember to play by the FCC rules too and identify when connecting to the nodes. WOW! 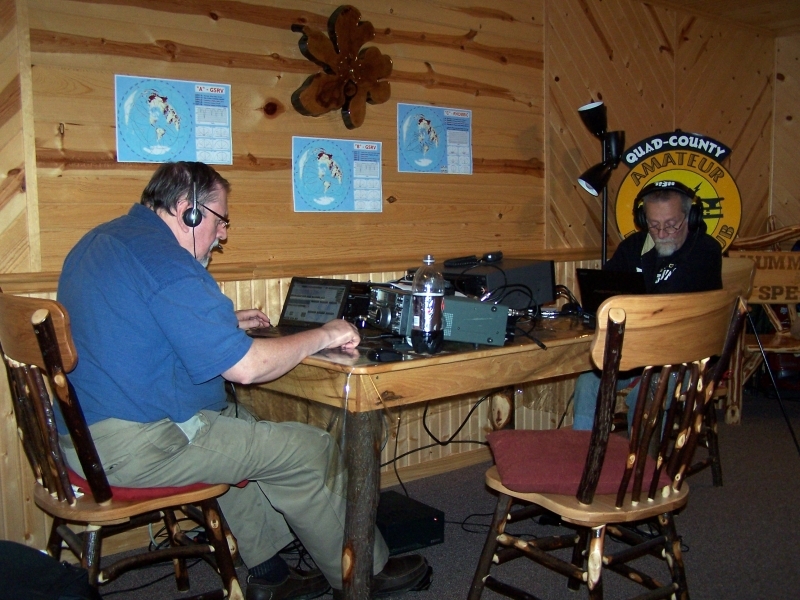 THE DAUNTLESS QCARC contest team warmed up the ionospere during several on-air operating events in October and November. Thanks to the generosity of Club President Peach Caltagarone AB3OG, we were able to string up some pretty impressive antennas at Hummingbird Speedway and rack up some pretty impressive scores, operating from the really nice cabin overlooking Hummingbird Speedway. THE MOST IMPRESSIVE antenna was the N3QC Rhombic (orange in the photo), with its beam centered on Southern Europe and the Mediterranian Sea — an area encompassing the largest hotbed of DX Contest operators in the world. In case you’ve never heard of a rhombic, it’s a wire antenna with the wires oriented in such a way as to generate a high-gain “pencil beam” in the desired direction with a very low angle of radiation. Round-the-world communications along a narrow path are possible even in poor conditions. The N3QC Rhombic is made up of four one-wavelength (on 40 meters) legs with a 53.4° apex angle, suspended 50 feet above ground. The main lobe radiates on a bearing of 63.3° toward Europe, with a take-off angle of 21.2° above the horizon on 20 meters, and 9.2° on 10 meters. Gain is 19.75 dBi on 10 meters, 15.08 dBi on 20 meters, and 10.85 dBi on 40 meters with a 45° takeoff angle and a 60° beamwidth! The first thing you notice about the rhombic is how quiet it is. Due to its enormous size of 240 by 120 feet (2/3 of an acre!) the aperture is large enough that nearby terrestrial noise is picked up in common mode, and cancels itself out in the feed system. Which brings us to the second thing you notice: Received signals are HUGE! The large aperture means a gigantic capture area allowing the incoming wavefronts to generate strong currents along the wires. 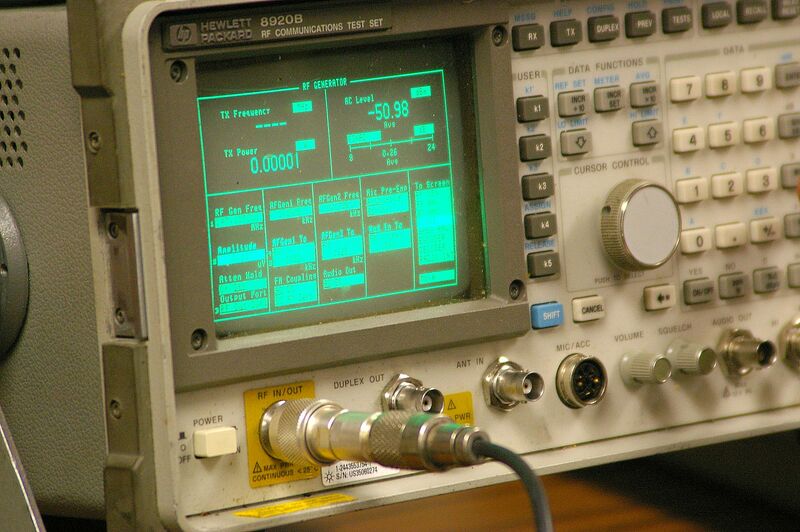 On transmit, the nearly 20 dB gain means our 500 watt signal results in an ERP of over 40,000 watts!!! 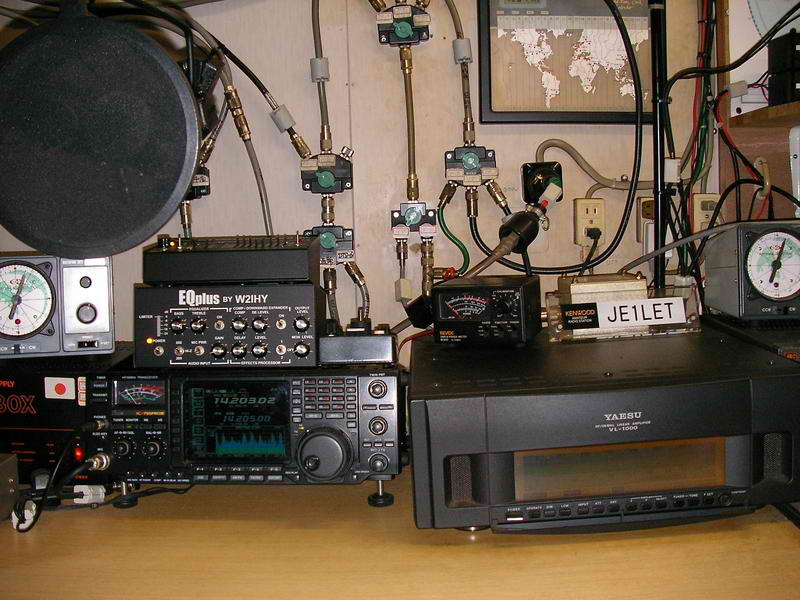 When we first hooked it to a radio, we could hear European hams on 10 meters. It was midnight in Europe, and they were just chatting with each other using low power. tuning around the 10 meter band, I heard one station in Spain calling CQ and answered him with only 100 watts. He incredulously asked if I was really in W3. He turned his yagi toward the US and we were both astounded by the S9 + 20 dB signal strength. That was a very good sign for our upcoming contest efforts! The rhombic is a tough act to follow, but it’s highly directional and there was a need to cover areas it didn’t. So up went two G5RV antennas. The first (red in the photo) hung at 43 feet and was aligned parallel to the rhombic’s main beam, to provide coverage perpendicular to it. Specifically, the coverage was planned to cover Japan and the Pacific, as well as the Caribbean and South America. The second G5RV (green in the photo) was suspended at 60 feet and aligned north-south to provide coverage of the US on 80, 40 and 20 meters, and have four lobes on 15 and 10 meters to the NE, SE, SW and NW to supplement the first G5RV. The science works in practice, and I am sure that were he still with us, QCARC’s first president Gary Boucher W3GNR would be very proud of our engineering work! WE ARE NOT wealthy. But our club is rich in the generosity we show each other! For example, the rhombic consists of 550 feet of wire, provided by W3BC. He also provided 50 feet of RG-8 coax (enough to reach the ground) and a 4:1 balun. WA3UFN provided 150 feet of RG-8 coax to continue the feed to the shack. W3BC also provided 500 feet of rope, and the insulators used to hold the four corners of the rhombic way up in the air. His baitcasting skills and equipment launched the support ropes over the treetops. 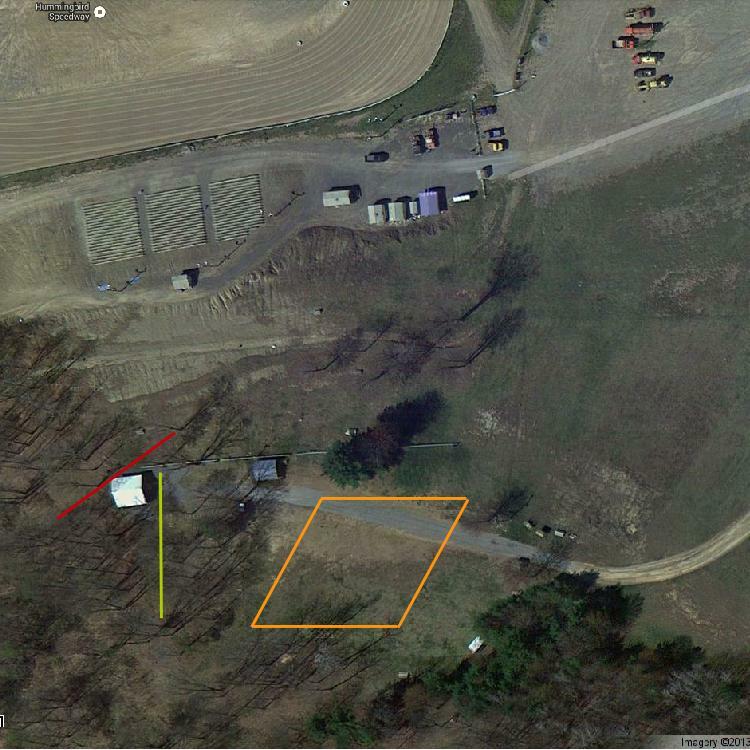 AB3OG provided the racetrack location and permission to place the antenna there. Cost to the club: $0.00 — Value: Priceless! When it came time to operate, W3BC transported a shackful of contest-grade radios. His classic Icom IC-751A transceiver, IC-R71E receiver, IC-2KL solid-state, fluid-cooled linear, and AT-500 automatic bandswitching antenna tuner made up one operating position for the first couple events. 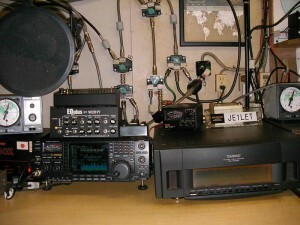 His newly-acquired Icom IC-756 Pro III replaced the erstwhile 751 for the Phone Sweepstakes. AB3OG brought his Icom IC-765 for the second operating position. His one-time world-champion Icom flagship rig performed admirably, allowing us to tune out the severe QRM and focus on the signals we wanted. Additionally, W3TM brought headsets, rig interfaces, voice keyer, CW paddles and footswitches to round out the operating positions. W3BC supplied the logging computers and software. He also made up Great-Circle maps centered on our QTH, with the patterns for each antenna and band superimposed. AB3OG paid the electric bill, and kept the lights and heat running in the beautiful, modern cabin, which made operating comfortable and fun. The nicely appointed cabin was the perfect blend of rustic atmosphere and modern convenience to make our time spent there very enjoyable. Those not operating were able to follow the games on a wide-screen TV, also courtesy of AB3OG. The Club provided food, snacks and beverages, and KA3MKY brought snacks and served up the world’s best homemade chili. 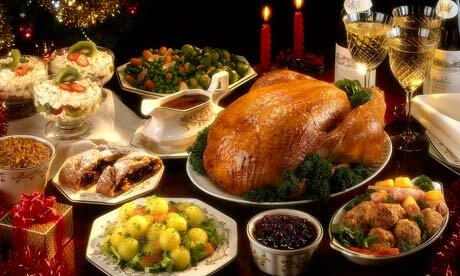 Nobody went hungry, and all the comforts of home were available. Again, the cost to the Club was small. During the setup, KB3LES helped out with the heavy lifting, and brought his MFJ antenna analyzer which proved to be valuable in locatiing a faulty coax connector. That was the only equipment failure, and the CB-grade connector was completely burned up when we applied 500 watts to the feedline. (A PL-259 that meets specifications will easily handle well over 1000 watts at 50 ohms, but the cheap imitation ones sold in CB shops WILL fail at under 100 watts — catastrophically!!!) Thanks to W3TM who provided a replacement connector on a moment’s notice! For the Jamboree on the Air, WD3D brought his Kenwood transceiver and a vertical antenna. 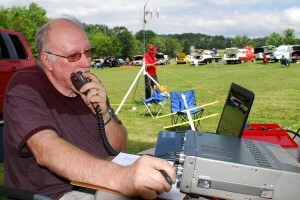 He demonstrated the ease with which an Amateur Radio Station could be set up and talk to other stations around the world! 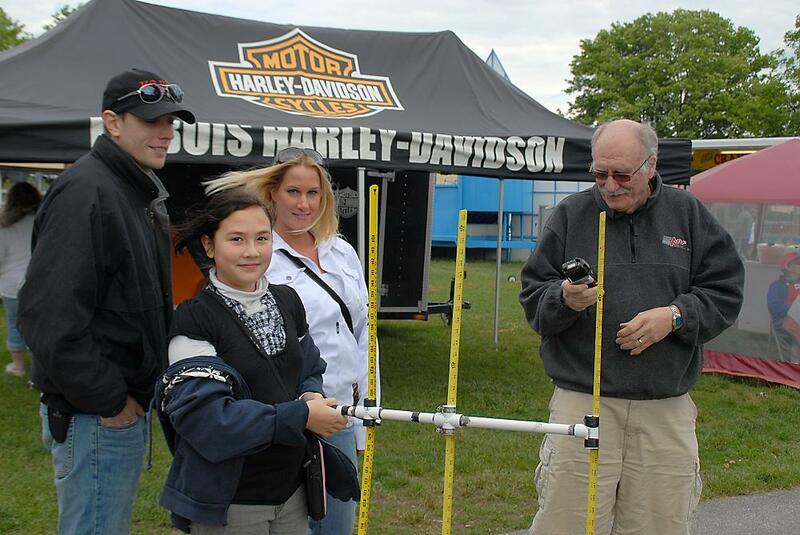 THERE WAS NO shortage of operating events! 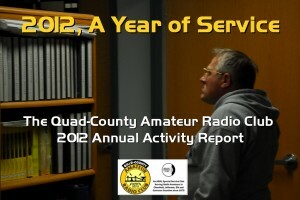 We started out with the Pennsylvania QSO Party on October 12 and 13. We operated the full 22 hours of the event, and had a very sucessful experience. Not only did we score 145,000+ points, but we made a “Clean Sweep” of all 67 counties! It was very easy to bust a pileup on our first call, and we received many unsolicited comments about our “big signal”. Operators were AB3OG, W3BC, W3TM and WD3D. 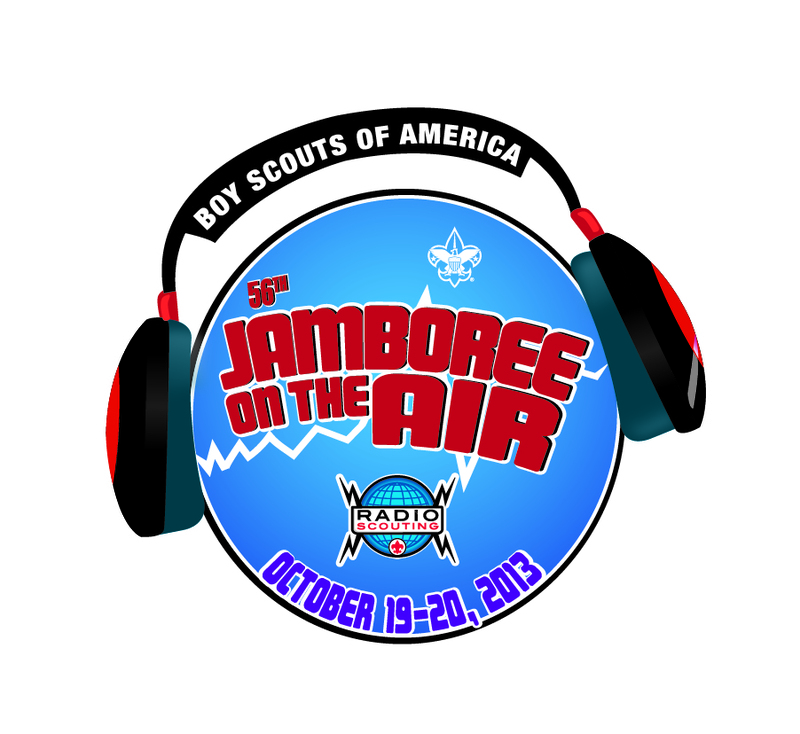 Next was the Jamboree ont the Air on Saturday and Sunday, October 19-20. Boy Scouts from the local troops were invited to attend. A number of hams were present to help out. Wd3D brought a complete station and set it up, and talked to the world. Club members present were W3DWR, KA3FHV, AB3OG, W3TM, KB3LES, KA3MKY, W3BC. 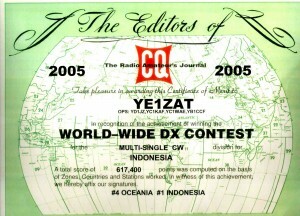 Then on October 25-27 it was time for the big one… The biggest contest of them all, the annual CQ World-Wide DX Contest. Could we hope to even be heard with all the world’s biggest of the big guns? The answer was a resounding, YES! The rhombic showed its true colors as we again received many reports of a booming signal from all over the world. New Zealand at over 9,000 miles away was booming in on 10 meters. We often could hear “local” stations via long path, with their signals going 24,000 miles the long-way around the world with the characteristic 1/8 second delay or “echo”. The “red” G5RV delivered a dozen QSOs with Japan on 10, 15 and 20 meters! We worked well over 100 countries — DXCC in one wekend! We jokingly suggested that we should shoot for a million points. The truth is that we almost made it: Our final score was over 897,000 points and if we could have had even a couple more manhours on one or the other radio, we would have likely hit the million-point mark! Ops: W3BC, AB3OG. More would have been very welcome and appreciated!!! Finally on November 16 and 17th, we set up shop for the ARRL November Sweepstakes phone contest. We entered in the multi-operator, single transmitter category. 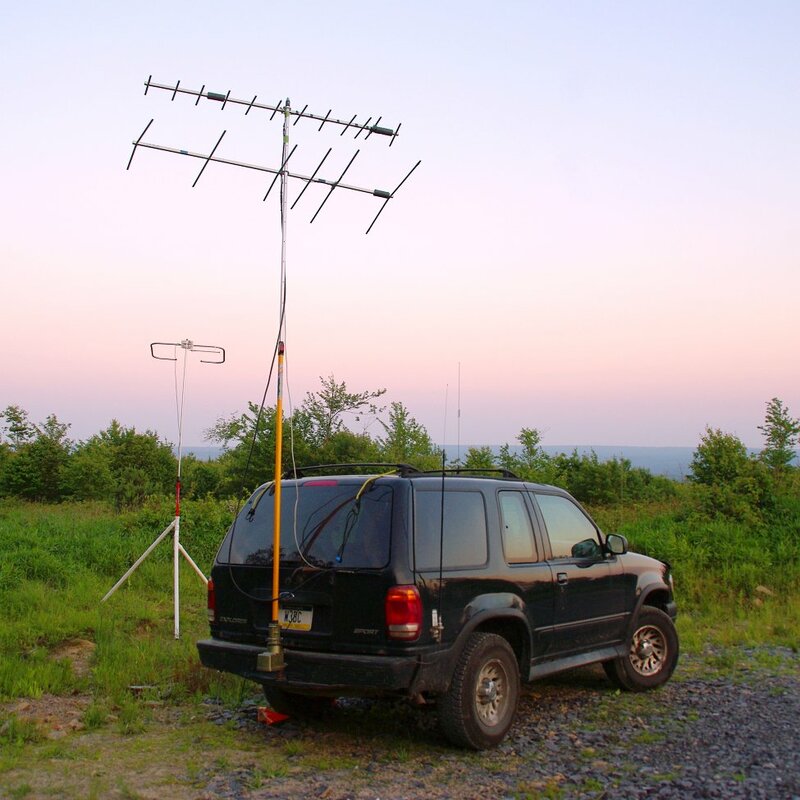 W3BC’s new Pro III was the workhorse, and the radio and antennas performed perfectly. Band conditions were fantastic. The long-path”echo” of our own signal was often heard when we let up on the transmit switch! 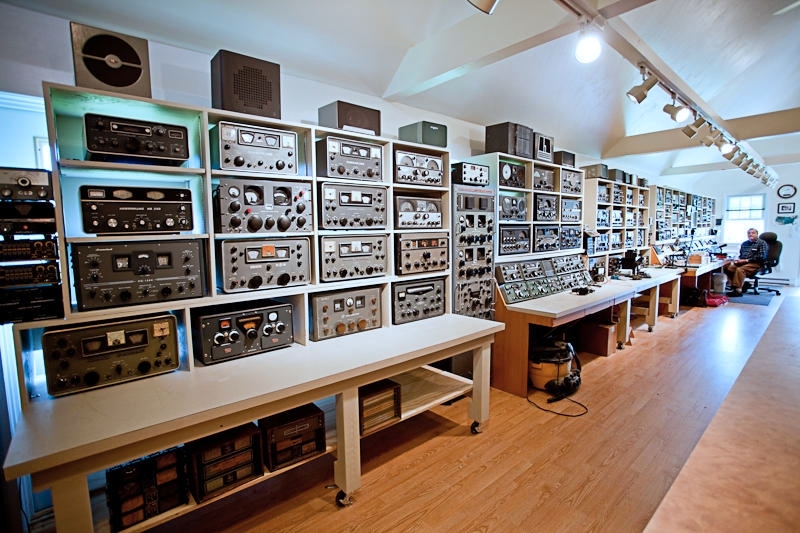 10 meters was wall-to-wall with stations all over the US and Canada. It was like being in one of those game show money booths, and we tried to grab as many QSOs as we could. We worked both Alaska and Hawaii right off the bat in the first few minutes, and had collected contacts in 60 different ARRL sections within the first six hours, leaving 23 to be worked for a clean sweep. By the time we shut down for the night, we had made a couple hundred QSOs, and had talked to station in all but seven states. 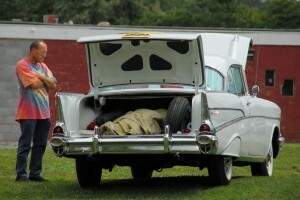 We started up again on Sunday morning, and found 10 meters was good for DX but not the US. We went to 15 meters and could hear that “long-path echo” on almost every station. I’ve never seen conditions that good in 47 years of being a ham. We settled into systematically tuning the band, and it seemed that on every QSO we picked up one of the needed sections. Before long, we were down to single digit numbers of needed sections. Over the course of an hour, we brought it down to the final four: Newfoundland and Manitoba in Canada, and North Dakota and Kentucky in the US. We tried tuning 20 meters, but the approaching weather front was producing S9 + 20 dB of “static” on that band. Back up to 10 meters, but not many signals, and those we heard we had already worked long before. Then on 15 meters, we almost immediately found a VY2 and the “NL” multiplier was ours. On the TV, the Steelers had just scored a field goal, so that must have been a lucky time for Western Pennsylvania. A little more tuning around and there was Manitoba! Now we were down to two more sections. On 40 meters, there was Nancy K9DIG calling “CQ Sweepstakes” and in a matter of seconds, North Dakota was in our log! Only one more setion to go! We went down to 80 meters for an hour or two and began to give up hope of the Clean Sweep. We did work a large number of stations in an hour-long pile-up of stations who needed Western Pennsylvania, but none of them were from Kentucky. We then went back up to 40 meters to take a quick run across the band and pick up the few stations we hadn’t worked yet. The Steelers game was over, everybody had worked everybody else and boredom was setting in. We heard one guy calling CQ and answered him. He replied, “N3QC You blew me out of my chair with that big signal. You’re the loudest station I ever heard!” Yes, our modest station was acting much more like a Big Gun than the little pistol we really were! Sure enough, the Kentucky station was there, working a huge pile-up. We got our ducks in a row, and AB3OG sent our call once along with the dozen or so other stations who sounded like feeding time at the hog trough. But thanks to the rhombic and the amp and the Pro III audio and the operating skill (along with a little luck), there was Kentucky calling N3QC!!! Peach finished the QSO and entered it in the log and then we all cheered the accomplishment. We had made our Clean Sweep!!! Of course that implies that we also worked all 50 states… In only a 24-hour period! THE WEATHER WARNINGS started flowing in when there were still a couple more contest hours left to go. Putting safety first, we made the difficult decision to forego the hundred or so more QSOs that would have put us over the 100,000 point threshold and opted to shut down and load all the equipment up. Mother Nature even sided with us and suspended the drenching downpour that had been going on all afternoon and evening. We tore down and removed all the equipment from the cabin, loaded it in the vehicles and then set about securing the antennas for the winter. Sweepstakes operators were W3BC, AB3OG and KA3MKY, with a nice visit by KB3LES and his XYL Jo. We all had a great time in the Sweepstakes and all the other events. Everyone had a lot of fun and a lot of laughs. The radios and antennas worked perfectly and more than lived up to our expectations. We proved that we could get the techincal part right without spending a fortune. 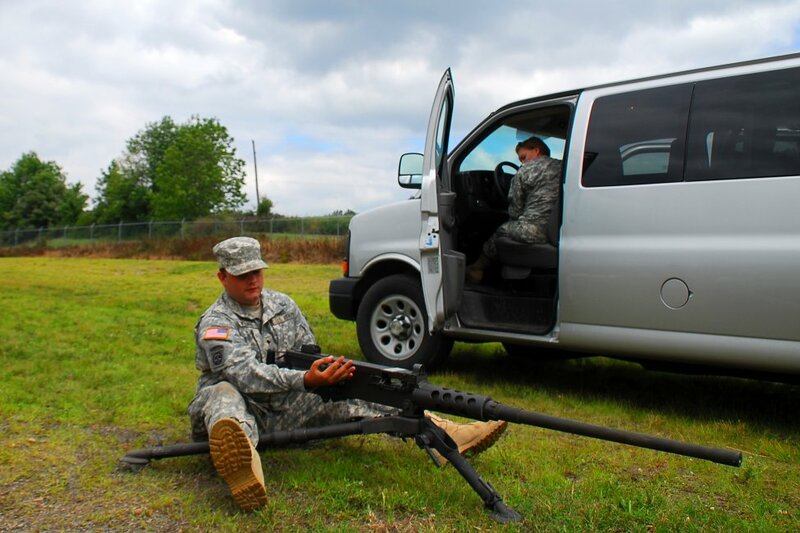 We also proved that we could operate efficiently for long periods without succumbing to exhaustion. The 2013 Fall contest season had come to a close. Our club suited up and showed up. We made very good scores without overworking ourselves, and probably won some awards — we definitely won two “Clean Sweep” awards — and really, really enjoyed ourselves. The silent key founding members of our Club would be very proud of our efforts, both in the technical and the competitive aspects of the events. We did our best to honor their heritage. The only dark cloud was that we missed you. There was plenty of fun (and food) to go around, and even if you don’t think you’re up to contesting, you could have shared our excitement and fun while watching us win each little victory and by cheering us on. Yes RadioSport is a spectator sport too, and your team spirit and support would have meant a lot to those of us who were competing on the air. Can we count on your support next time? It really does mean a lot to those of us in the thick of the competition. 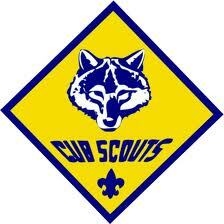 Every year, thousands of Scouts get on the air to talk to other Scouts around the world via Amateur Radio. This activity first got started long before the days of social media, cell phones and Internet access, and is more popular today than ever before! 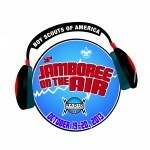 The Quad-County ARC is planning to set up a station and invite local Scouts to talk to their counterparts across the country and around the world on the weekend of October 19th and 20th. QCARC Vice President and Scouting Liaison Officer Peach Caltagarone, AB3OG has graciously offered the use of the hilltop cabin at Hummingbird Speedway in support of this event. The plan is to open the station to the Scouts and their parents with several hams and Scout leaders present at all times the station is open to assist the Scouts in getting on the air and making radio contact with other Scouts worldwide. Volunteers are needed to make this a successful event. I just worked a Japan station on 21.365.00 100watts!! 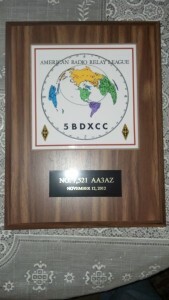 Congrats to AA3AZ on 5BDXCC! Current Club President Herb Murray W3TM and Secretary Joe Shupienis W3BC hit the bricks to participate in the Rover-Limited category. Activating 5 grids and handing out 92 QSOs, their final official score was 5,406 points, with contacts being made in 48 grids! It was a lot of fun, and they activated some grids neither had operated from before, notably FN02, EN92 and EN91, along with FN00 and FN01. We are fortunate to live in or near so many “rare” grids, and the 6 meter stations were grateful! That score was enough to win the WPA Section, and to take second place in the Atlantic Division! Overcoming confusion about our location, we stuck it out and had a great time. Finishing in the top 10 of all stations in the WPA section, we scored 2,550 points and most importantly had 26 participants who helped put our signals on the air for the full duration of the event! That score allowed us to take First Place honors in our 2A-Commercial category for both the Western Pennsylvania Section and the Atlantic Division. We finished 6th place in our category, Nationwide. This is “The Big One” — the 900 pound gorilla of contests. Current Vice-President Peach Caltagarone AB3OG graciously opened up his Hummingbird Speedway facilities to the club, and the 16 members and guests who stopped by to operate and observe. We strung up a number of antennas, including a pair of crossed G5RVs and W3BC’s “Half-Rhombic,” a 300 foot monster pointed at Europe. Results were very good! We logged 91 counties — that’s almost DXCC in a single weekend! the antennas worked flawlessly, digging out European, African and Asian stations well into the wee hours. Then it was back at it Sunday morning, with all the comforts of home — W3BC brought an HD TV and antenna. We were able to receive 11 HDTV stations, and could keep an eye on the football games as we racked up our own score on the air! Our goal was to introduce non-contesters to RadioSport, to allow everyone to try their hand in a big contest, and to have fun. We did that and more! We finished 2nd Place in the 3rd call district, 17th place Nationwide, 27th place in North America, and 96th place worldwide. With over 8,000 other stations sending in logs, that is quite an accomplishment! 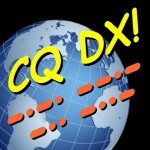 The CQ WW DX (CW) weekend is coming up, as is the ARRL Sweepstakes (SSB) weekend. Gear up for these and be sure to include “Quad County Amateur Radio Club” as your club to help out our club aggregate score! Whatever you favorite on-air activity, it’s coming to your radio soon! 2012 Annual Report Demo Station at Cub Scout Klondike Derby Meeting Report: June 2011 It’s Field Day! Get Ready For Field Day! 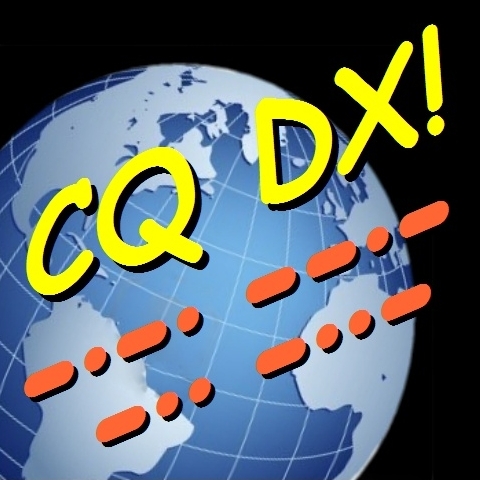 CQ World Wide DX Contest (SSB) — 0000 UTC Saturday October 27 to 2359 UTC Sunday, October 28, 2012 (Friday evening at 8 until Sunday evening at 8). Have you ever wondered what it’s like to work 100 countries in one weekend? Would you like to sharpen your operating skill? Do you want to try your hand at contesting and see if you have what it takes? Well, this weekend is a great opportunity for you to do all that and more! 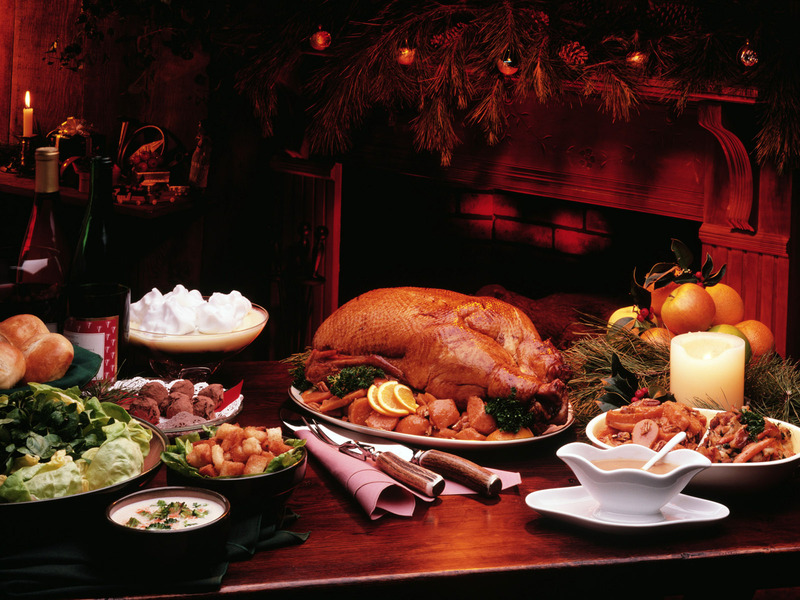 And not only that… there’s food! Peach AB3OG has invited everyone back to Hummingbird Speedway this weekend to take part in the CQ WW DX contest. W3BC and W3TM are providing the radios and other equipment, and Peach will make the racetrack food concession available for our use. 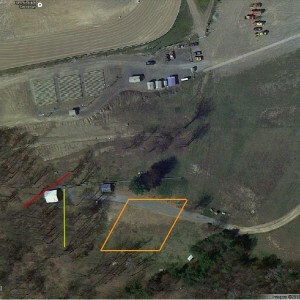 This will be a multi-operator, multi-transmitter station, and will be pretty much like another Field Day, except everybody will be trying to work DX. That should be pretty easy, since the bands have been very good, and the solar forecast calls for continued good DX conditions, day and night. You are invited to come out and stay as long as you want. Take your turn on the air, or just sit back and watch — we’re not in it to win it, instead, our reason for doing this is to give our members and other interested hams the chance to learn how to become a successful contester. Our goal is to make 1 million points, but more importantly we hope to have fun, food and friendship! Please plan to take part if you can, and don’t feel obligated to do anything except have a good time! WWe hit the road once again on Saturday, August 11; this time to set up a public demo booth at the Super 322 Drive-In Car Show between Woodland and Bigler. Lars KB3WBT, Ed KB3VWX, Don KB3LES and Joe W3BC strung a G5RV from the 50-foot peak of the screen to a similarly high tree. 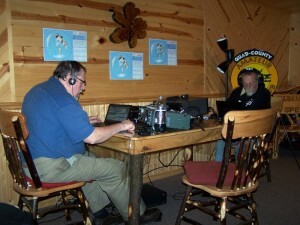 Lars and Don set up the radios and some portable antennas, and we hit the airwaves. Sam KA3USM sat in at the operating position, and Herb W3TM and guest made the rounds and pointed us to the best car displays. Lars worked DX station after DX station and tuned higher and higher bands as the day progressed and the MUF increased. He agreed that sunspots are a good thing. The weather was very pleasant with scattered clouds and nary a drop of rain. We handed out information packets to those who stopped by, and got the chance to browse through the car show at our own pace. Theater owner Bill Frankhouser was very appreciative of our efforts, and hopes to have us back again next year. I just worked a VK7 station on 20 meter using a g5rv. That’s a distance of 10125.1 mi (16294.8 km). How cool is that?! After months of hunting for Hawaii. Last night during a contest i worked two Hawaii stations. I was starting to think Hawaii was harder to work then the Antarctica. And yes contacts during a contest do count as regular contacts for your log.